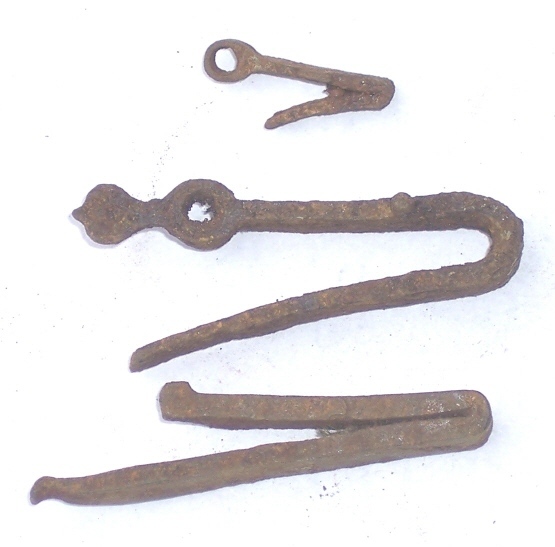 These gun lock springs were found in a bucket of old Lepley gunsmithing hardware at the Alonzo Lepley estate auction that was held on the Lepley farm in the early 1970's. The bottom spring is broken. Note the decorative end on the middle spring. This suggests that it was a frizzen spring, which is located on the outside of a flintlock.